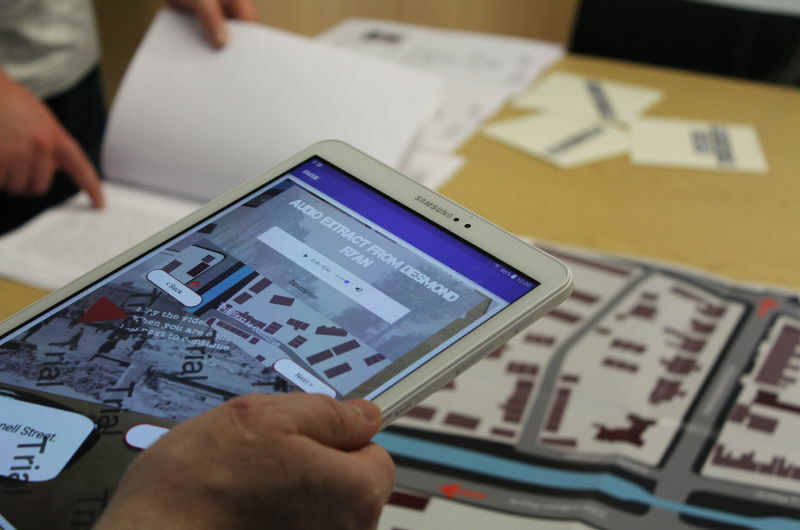 History in a Box (funded by the Irish Research Council’s New Foundations Scheme) is a project building on a virtual reconstruction of the iconic 1916 battle of Mount Street Bridge. 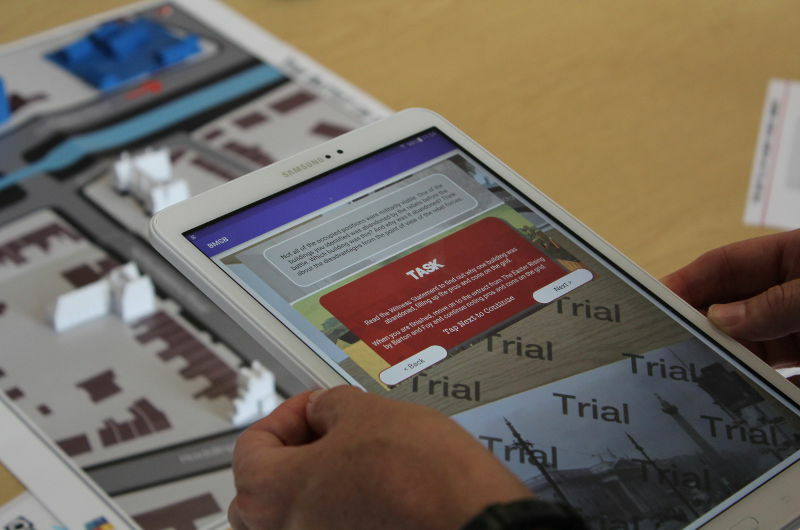 Using a handling box that includes tablet devices, a pre-installed Augmented Reality App and physical material, including photographs, primary sources, and 3D printed buildings that trigger multimedia content, History in a Box aims to provide a novel learning experience through integrating technology. 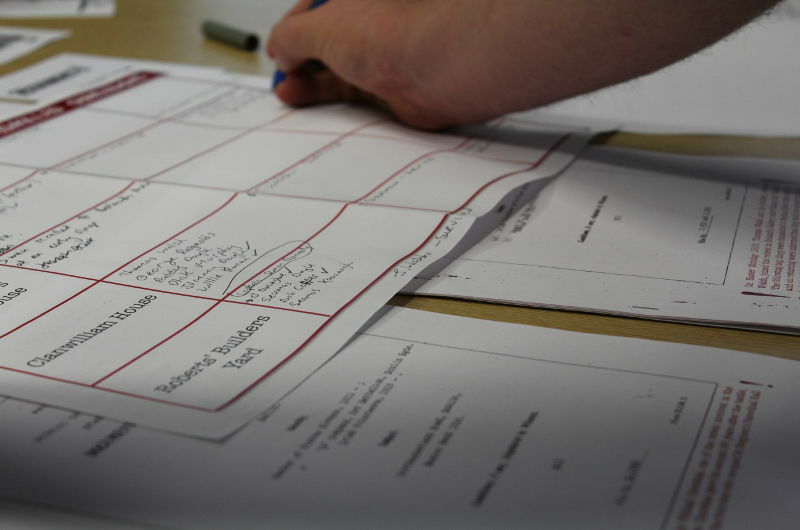 Initially developed as a transition-year project, this concept was recently re-adapted for a museum setting. 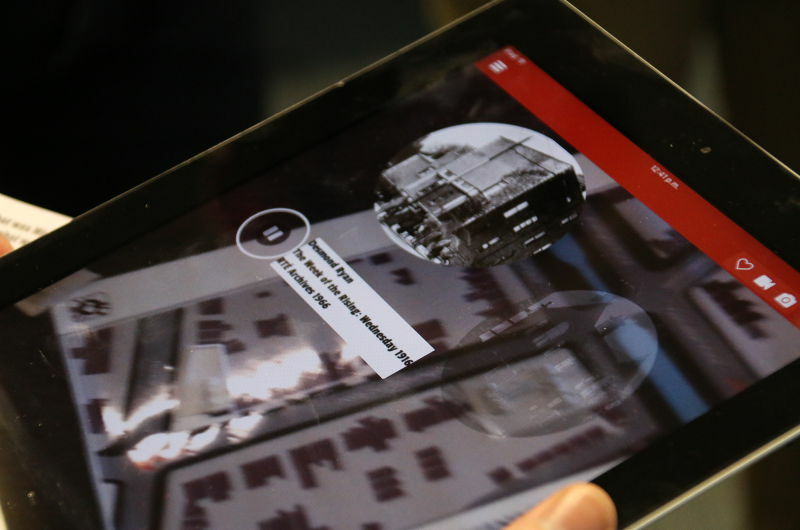 We share the belief that using emerging technologies in classrooms and museums are key priorities in enabling young people and diverse audiences to become active constructors of knowledge and critical thinkers. 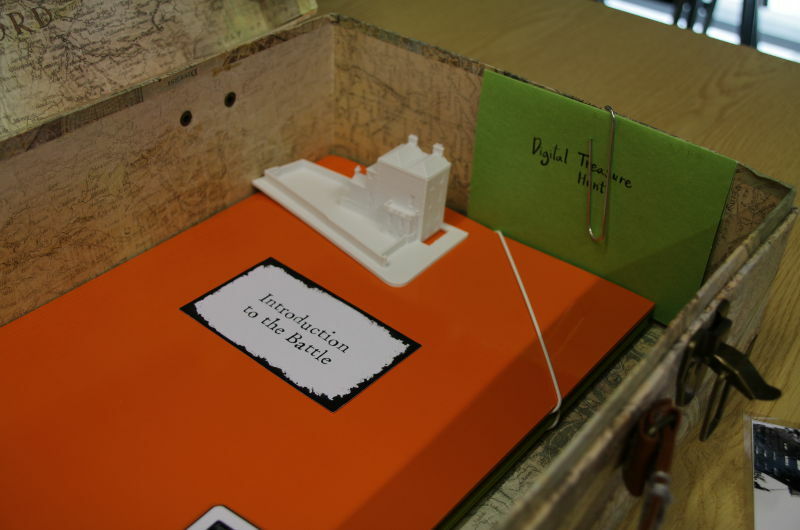 History in a Box is developed for Transition Year students giving them the opportunity to learn about the facts of the Battle of Mount Street Bridge while providing a deeper and more holistic understanding of war and its effects. 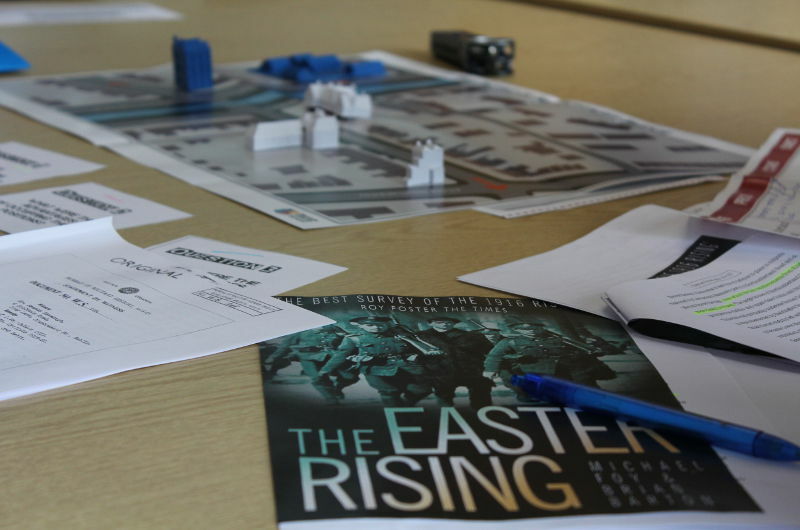 Using the History in a Box toolkit, students work in groups to investigate how the battle unfolded and understand the ambiguous nature of such events. All the required material for using the mobile application in the classroom will be delivered to schools in the form of a handling box. 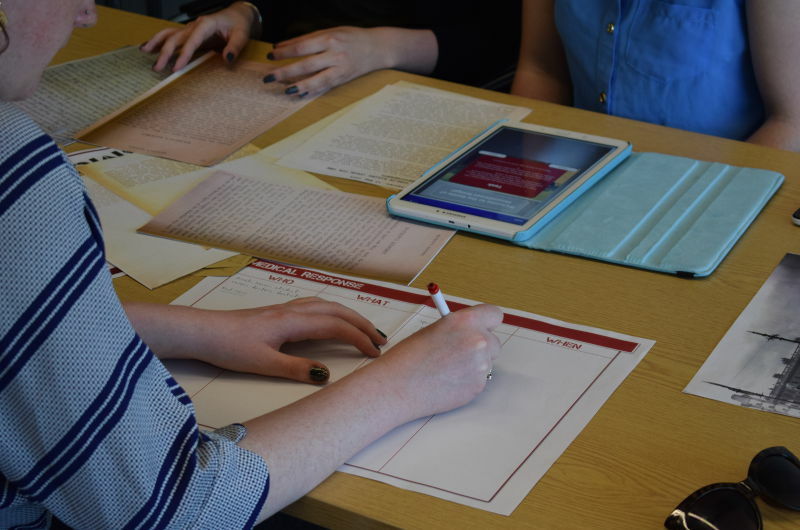 From October 2017 teachers are able to undertake training on how to use this resource in the classroom and book the handling box for two weeks. 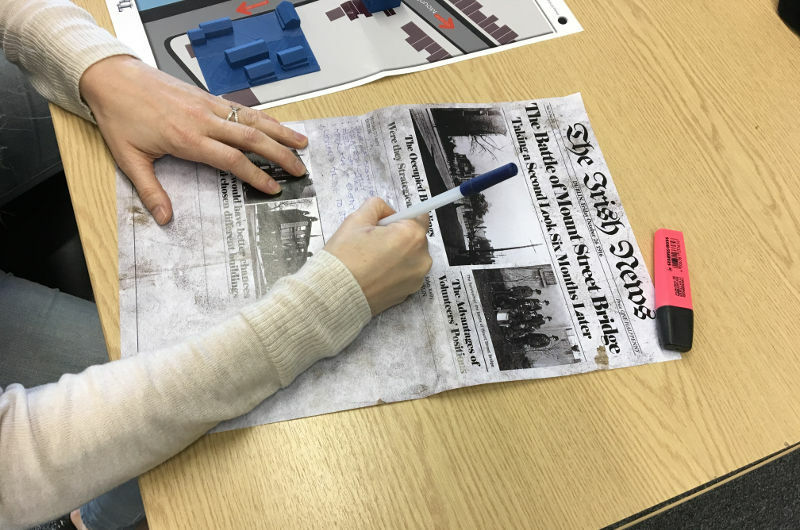 Partnering with museums in conjunction with the Irish Museums Association (IMA), the project team recently re-adapted the concept of History in a Box for a museum setting where parents and children work together to learn about and experience the 1916 battlefield of Mount Street Bridge. 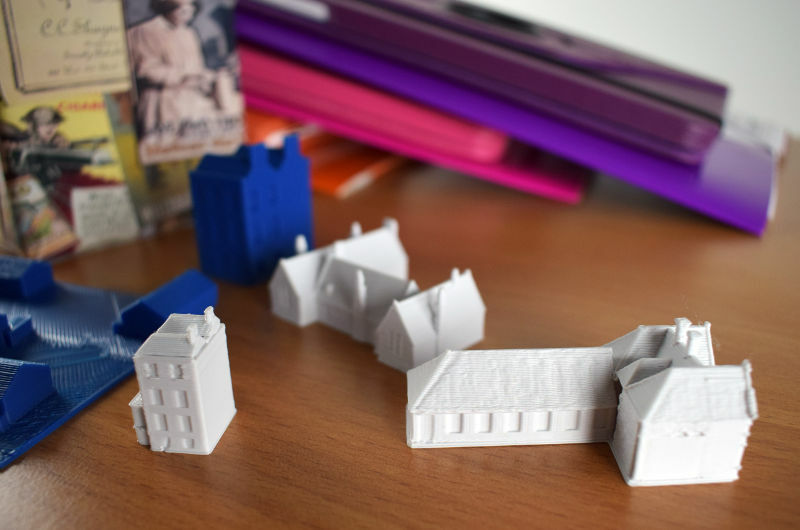 Focusing on an intergenerational problem-solving approach, museums around the country host History in a Box events on the use of emerging technologies in heritage and industry and on the experience of the battlefield and other virtual worlds through the project’s toolkit and Virtual Reality headsets. Susan Schreibman, Professor of Digital Arts and Culture at Maastricht University, is the co-Principal Investigator of the project. Her research ranges from text encoding and the creation of digital scholarly editions to Virtual Worlds and Datamining. Professor Schreibman is the PI of several digital humanities projects including Letters 1916-1923, The Thomas MacGreevy Archive, and The Versioning Machine. Dr Konstantinos Papadopoulos, Assistant Professor in Digital Humanities and Culture Studies at Maastricht University, is the co_Principal Investigator of the Project. He specialises in cultural heritage, 3D recording, visualisation, simulation and analysis, and in theoretical approaches to archaeology, heritage, and computational methods. In particular, his research, teaching and publications to date are primarily related to digital reconstructions, formal three-dimensional analyses of past built spaces, light in archaeology, Augmented Reality, and Computational Imaging, examining both the practical aspects of modern technologies and the theoretical dimension of such approaches. Eliza Papaki was Research Assistant at the Centre for Digital Humanities at Maynooth University. She coordinates and manages the project, organising outreach events and supervising user testing and evaluations. Eliza has completed postgraduate studies in History and Cultural Heritage in 2012, and since then she has worked in a number of Digital Humanities projects, both European and national. Her area of expertise is user requirements, user evaluations, social media and communication. Neale Rooney was MA Digital Humanities graduate of Maynooth University. He works for the Letters of 1916 project and he is responsible for digital editing, research and event coordination. He has worked on a number of digital projects relating to the First World War and Easter 1916 including The Woodman Diary and Contested Memories: The Battle of Mount Street Bridge. Hannah graduated with a BA in History from Trinity College Dublin and an MA in Digital Humanities at Maynooth University. In the past she has worked on other Digital Humanities projects, such as the Letters 1916-1923.